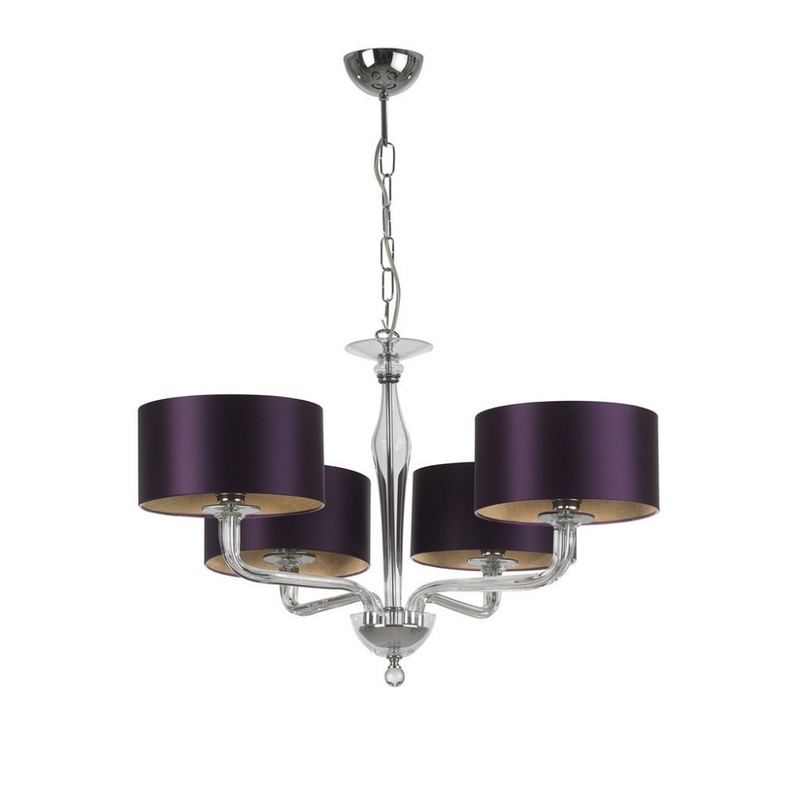 The Czarina 4 Arm Chandelier by Heathfield & Co is expertly crafted to create a sophisticated glass design. A contemporary take on a classic chandelier, it is the perfect centre piece for your dining space, living area or hallway. Available in three glass colour options; smoke, gold and clear. Create stylish, elegant ambience through light and shadow with this stunning chandelier. The four shades are available in a wide variety of luxurious fabric and colour options. Make an enquiry to receive advice, tips and samples. Priced for 10" Thin Drum shade in silk with white PVC lining. Please contact us for other options.